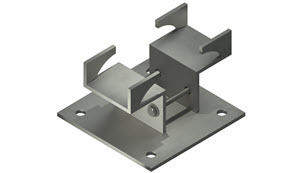 TechLine Mfg.’s Beam Mount Bracket is great at saving time and trouble in the field. This bracket is efficient for hanging wall-mount stands, lighting fixtures, and other items to support beams with no drilling or welding. Simply tighten the bolts. Accepts standard 8” X 8” base plate. 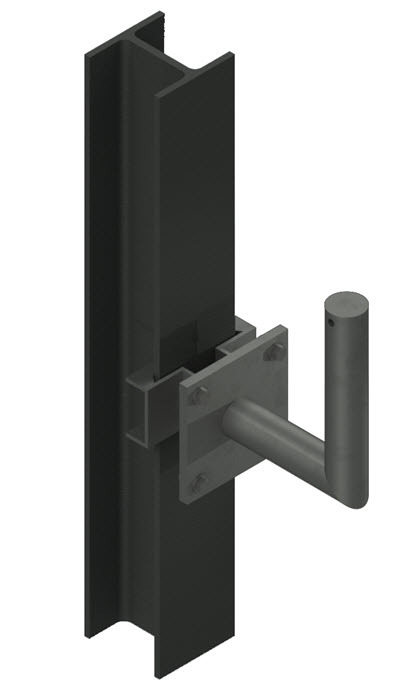 The Beam Mount Bracket is very easy to install and eliminates the need for welding, drilling, or utilizing numerous parts, such as strut, all-thread, etc. *TechLine Mfg. can pre-drill holes as specified to mount Crouse-Hinds lighting fixtures or others for added convenience and time savings. **Also available in Aluminum, 304 SS and 316 SS.